The Pittsburgh Steelers history against the New England Patriots in the 21st century is a miserable. New England has beaten Pittsburgh 11 of 14 contests, and most of those haven’t even been close. Sunday, the story was different as the Steelers beat the Patriots 17-14 in an electrifying win at Heinz Field. Mike Tomlin appropriately termed it a team victory. But the essential ingredient to the win came from Tomlin himself: Trust. If You’d Have Told Me…. The Steelers came reeling into this game on a 3 game losing streak. And while the Patriots looked vulnerable, the Steelers would need to do a lot of things right to win this game. And if you’d had told me…. I’d have told you that the Steelers would lose in no uncertain terms. Yet all of the statements above were true, but the Steelers pulled out a win. 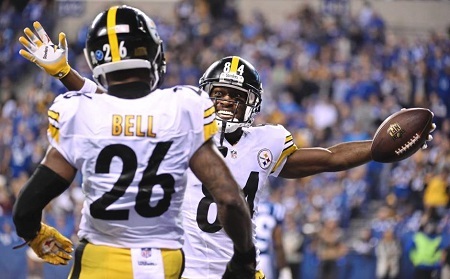 The Steelers won the game because at every critical juncture, players stepped it up and made plays. Pittsburgh set the tone for this on the opening drive, highlighted by Jaylen Samuels ripping off a 25 yard run and making each of his other 3 touches count. Eli Rogers stepped up and helped convert a critical first down. 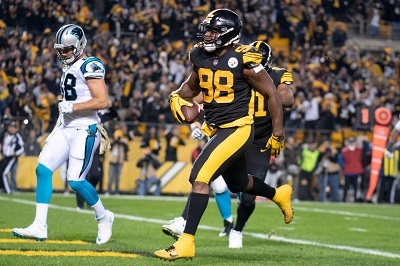 Vance McDonald delivered in the end zone putting the Steelers up by 7 at the 8:40 mark in a rare opening drive touchdown. While the Steelers essentially gifted the Patriots a touchdown on the next drive, no one in Pittsburgh blinked. The Patriots got the ball back four other times in the second half, and each time it ended with a Ryan Allen punt. The Steelers defense didn’t put on much of a fireworks show in the first half. They didn’t make any “Splash plays.” Yet, each time New England attempted to convert a third down, Sean Davis, Mike Hilton Vince Williams or Joe Haden was there to stop them short, while T.J. Watt seemed to be in Tom Brady’s face, even if he wasn’t bringing him down. By the time Ben Roethlisberger took a knee to end the first half, the Steelers were up 14-7. Could they hold on…? 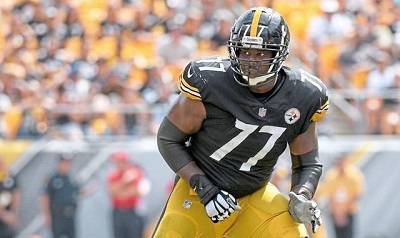 As the second half began, it looked like the answer was going to be “no.” The Steelers defense opened by forcing a punt after just 5 plays, and the offense marched all the way to the Patriot’s 4 yard line on the strength of two sensational James Washington catches. Yet, it was déjà vu all over again in Pittsburgh as Chis Boswell missed on a 32 yard field goal. The Patriots advanced to the Steelers 10 where Terrell Edmunds stopped Julian Edelman cold, limiting New England to a field goal. Yet 5 plays into the next drive, the Patriots intercepted a deflected pass to Antonio Brown giving New England the ball at mid field. 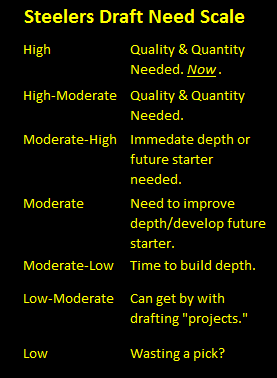 All of the elements were in place for another Steelers 4th quarter meltdown. 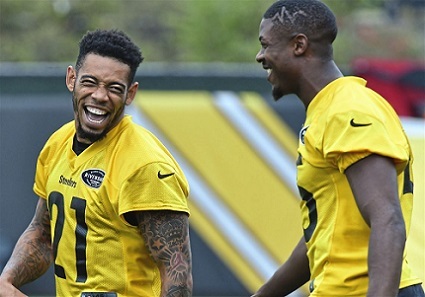 A week ago, Mike Tomlin trusted in his defense and trusted in Chris Boswell, and they let him down. Against the Patriots, the Steelers defense delivered, as the Patriots advanced to the Steelers 16, only to have T.J. Watt force Tom Brady to throw the ball away as Joe Haden beat both Rob Gronkowski and Julian Elderman in a jump ball for an interception. 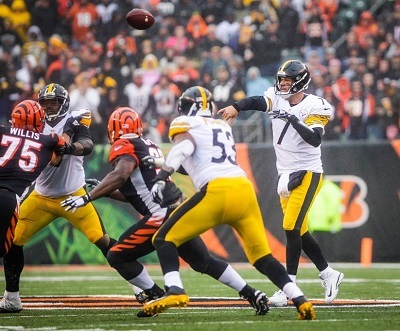 All season long fans have watched interceptions slip through the Steelers finger tips. Finally, when they needed one they got one. Starting from their own 4 with 7:43 left to play, the Steelers milked 5 minutes and 13 seconds off the clock in a drive that saw them move the chains four times. 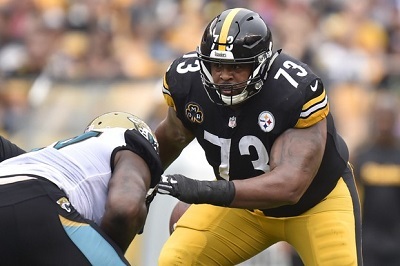 On third and 6 Ben Roethlisberger tried to connect with JuJu Smith-Schuster, but J.C. Jackson played it perfectly and the ball fell to the ground. Mike Tomlin had a decision to make. New England was out of time outs, and a first down would have iced the game. A field goal would have given the Steelers a 7 point lead. 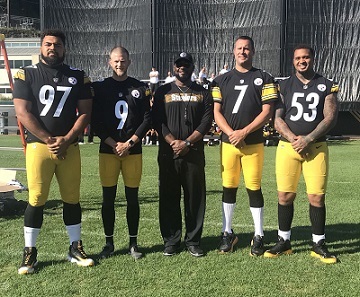 Mike Tomlin trusted in his kicker, and Chris Boswell rewarded that trust nailing a 48 yarder. Now it was time for the Steelers defense to do what has been unable to do all year – prevent an opponent from making a game winning drive. 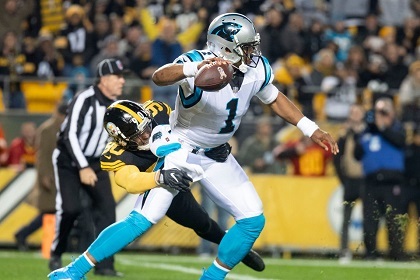 Tom Brady moved his team to the Red Zone, but Cam Heyward repeated forced him to rush his throws, and after 5 tries he was unable to connect with anyone in the end zone as Morgan Burnett defected his final pass. Steelers Nation erupted into celebration as the final seconds ticked off the clock with Ben Roethlisberger taking a knee. That’s to be expected, as this is a victory that every fan who bleeds Black and Gold has been begging for. As for the Steelers themselves? 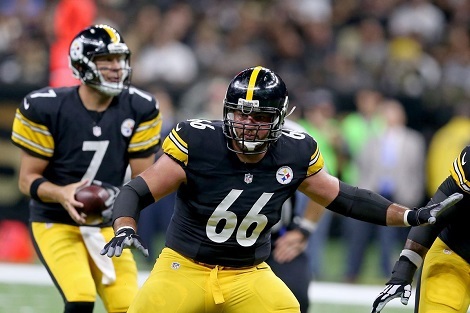 David DeCastro explained to 247 Pittsburgh’s Jim Wexell, “No one’s too overjoyed. We hadn’t beaten this team since I’ve been here, so we’re happy. 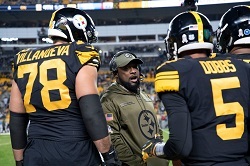 But we’re not overjoyed.” Given the precarious place Pittsburgh occupies in the AFC playoff picture, that’s exactly the attitude you need to hear out of this locker room.